Anchor Brewing is proud to partner with the California State Parks Foundation (CSPF) to support efforts to conserve and enrich California’s natural beauty and history. 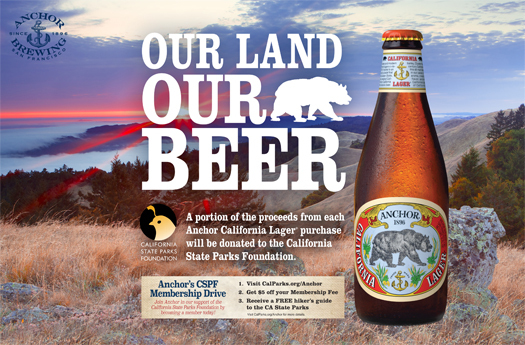 In 2013, Anchor Brewing formed the Anchor California Lager Grant, to be awarded annually by the CSPF as a part of their Discretionary Grants Program to benefit state parks. A portion of the proceeds from Anchor California Lager beer sales has helped fund these grants which support four of CSPF’s core areas of interest: Volunteer Efforts and Recognition, Education and Interpretation, Natural and Cultural Resource Protection, and Capacity-Building. Today, Anchor still supports CSPF’s work to protect, preserve, and enhance our state parks today and for generations to come. Last June an Anchor-funded grant was awarded to The Citizens for East Shore Parks. Local non-profit Citizens for East Shore Parks received $4,000 to conduct a study on land birds and their habitat. The study will advise and guide the Albany Bulb Transition Plan’s habitat and wildlife conservation and restoration goals. The Albany Bulb, a historically and geographically significant parcel on the East Bay shoreline, is in the crucial planning phase of transition to become part of McLaughlin Eastshore State Park. Additionally, the study helps to develop best management practices for enhancing habitat, protecting wildlife, and addressing compatible recreational and educational options. The project is expected to be completed later this summer. Join Anchor Brewing in our support of the California State Parks Foundation by becoming a member today! Anchor California Lager, the first beer in our Zymaster® Series, was originally released as a limited draught beer in early 2012. Today, it is available nationally year-round in 6-packs, 12-packs, 22-ounce bottles, as well as on draught at select bars, restaurants and retailers. 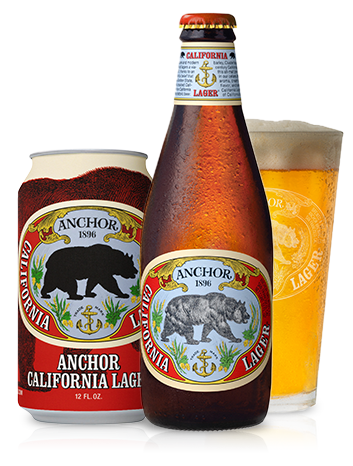 Use our beer finder to find Anchor California Lager near you. 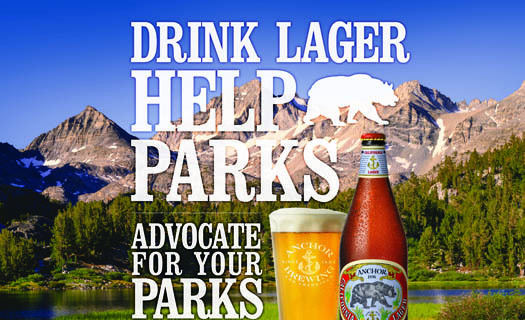 #RaiseYourAnchor in support of our California State Parks!